The USB-BT400 is a Bluetooth Smart Ready USB adapter with Bluetooth 4.0 capabilities. It connects you with a multitude of compatible devices and supports Bluetooth Low Energy (BLE) to reduce power consumption. 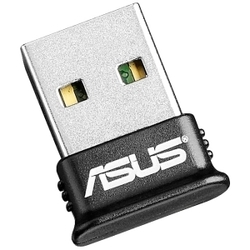 In dual-mode, the USB-BT400 maintains full backward compatibility with Bluetooth 3.0, 2.1, and 2.0.